Stage West is accepting art portfolio submissions for its 40th Season gallery spaces. Selected artists’ work will be displayed in four to six week spots between October 2018 – September 2019. Between one and four artists will be featured per show during the Stage West 40th season. Paintings, drawings, prints, photographs, quilts, 3-D wall-friendly art, etc. All work should be framed and/or finished and presented in a professional manner. Submit the following to dana [at] stagewest.org with “40th Season Art” in the subject line. Deadline for submission is September 30. *There is no guarantee of a gallery spot. Submittal rates have averaged 4 artists for every 1 spot available. Discover our 40th Season. Passes on sale now! In 1879, Nora Helmer walked out the door, leaving her husband and children and societal constraints behind her, instantly propelling world drama into the modern age. Now, 15 years later, there is a knock at that same door, as the squirrel returns to her cage with an incredibly awkward favor to ask. In this bitingly funny and fascinating sequel to Ibsen’s revolutionary masterpiece, sparks fly and the past and present collide in a taut theatrical showdown. Behind every door is a possibility, and behind every ending is a new beginning. Condemned to a shackled eternity, Jacob Marley’s spirit is given one chance to change his fate and escape his eternal chains – by returning to the world he scorned one Christmas Eve night to redeem his old business partner, Scrooge. So begins a journey of laughter and terror, redemption and renewal, during which Scrooge’s heart is indeed opened, but not before Marley – in this irreverent, funny, and moving tale – discovers his own in this delightful twist on the iconic Dickens classic. Everybody has come to the end of life, and so begins the revelatory and mysterious journey towards what lies beyond. As relationships, memories, and senses fade away, Everybody is left to travel down the road that leads to the bittersweet truth that we all eventually must face. In this modern, comedic, and heartfelt riff on the iconic medieval morality play, fate decides the roles by lottery each night, so - as is true in life - Everybody could be anybody. And in the end, when it’s your time to go, what will you leave behind and what will you take with you? On the eve of his appearance before the Senate Permanent Subcommittee on Investigations on Un- American Activities led by Senator Joseph McCarthy, American writer Langston Hughes fitfully attempts to compose a poem. As accusations whirl, censorships abound, and freedoms are called into question, this inspired-by-true-events, lyrical drama examines not only the tense yet necessary relationship between art and politics, but also the emotional and deeply personal connection between the artist and his craft in the face of oppressive power. You can’t fool 80-year-old André - he’s a man of his own mind. But there’s definitely something fishy going on. He’s a retired tap dancer living with his daughter and her husband, and...or, no wait, is he a retired engineer whose daughter is visiting from London? And who are those people who keep turning up in his flat, and where does his furniture keep disappearing to, and why is he still in his pajamas? No, something’s going on, and if he can just find his watch, he’ll get to the bottom of it. Three years after the mysterious death of beloved master sleuth Sherlock Holmes, his loyal assistant Dr. John H. Watson is summoned to a remote asylum on a rocky island to investigate three inmates who all claim to be the late detective Holmes. In this riveting and stirring new puzzler, the trusty Watson is drawn into a web of intrigue, suspicion, murder, and surprise that finally reveals what really happened that fateful day between Sherlock Holmes and his nemesis, Professor Moriarty. The world is getting hotter, there’s unrest overseas - actually, the seas themselves aren’t very calm either - and in an IKEA a man suggests to his partner that they should have a child. What if it grows up to solve the world’s problems? What if it becomes a mass murderer? What about its carbon footprint? They leave with nothing they went in for, but come out with a full set of self-assembly dilemmas that they spend a life cycle trying to construct. They want to have a child for the right reasons. But what are the right reasons? When tightly-wound Aaron is set up with laid-back Casey on a blind date, a casual drink turns into an uproarious high-stakes dinner. As the date unfolds, this mismatched pair's inner critics take on a life of their own, as other patrons transform into supportive best friends, manipulative exes, and protective parents, who sing and dance them through ice-breakers, appetizers, and potential conversational land mines. The result is a gleefully awkward evening as these two romantics try to turn a dating disaster into something special before the check arrives. After a little more than 10 years in their home on West Vickery Blvd, the Stage West Board of Directors, backed by Executive Producer Dana Schultes and Managing Director Mark Shum, has officially purchased the property on behalf of the organization. For the past decade, the group has operated under a triple-net lease managed by the Ol’ Vic L.P., a group comprised largely of Stage West supporters who purchased the building for Stage West back in 2008. This move is a significant one in the organization’s history. Equity in property that is extremely valuable in the exponentially growing Near South district of Fort Worth. Greater availability for rental by other small professional theatres and start-ups, when not in use by our own in-house productions. Stage West wishes to extend a huge thanks to all of those who made up the Ol’ Vic L.P. “Without that group, we would probably have closed shop back in 2008. We had just moved in and were suddenly at risk to have the property bought out from under us by a Dallas realty group with a lot of money. We owe those supporters a great deal of gratitude for stepping in, pooling their funds, and purchasing the property. Over the last decade, they managed it for us and essentially paved the way for this purchase to happen. They are part of a long list of people who have significantly contributed to Stage West since its inception in 1979,” says Schultes of Stage West’s supporters. Over the next several months, the organization’s development committee, led by Bronson Davis and Subie Green, will lay the ground work for renovations fundraising. Those projects are divided into three phases. The completed design will significantly enhance the patron experience, while also greatly improving the efficiency and layout of the 16,000 sq.ft. warehouse space which, at its origin in the 1930s, functioned as a bus garage for the city. The company hopes this moment in history will help pave the way for many wonderful years ahead as Stage West continues its commitment to entertain, inspire, and challenge through great live theatre. Thank you to everyone who made NTGD a success here at Stage West. Thank you to everyone who made NTGD a success here at Stage West. Combined with our Swenson Family incentive match $73,461 were raised for our theater's 39th season general operations. Thank every last one of you from the bottom of our hearts. Stage West is happy to announce that we will be participating in the new, national Playwrights Welcome! initiative. We are delighted to offer day-of-show tickets to Dramatists Guild Members in our community and to do our part in keeping our present and future writers immersed in their craft. Playwrights Welcome is a new program created to support and inspire these writers, as well as the next generation of great American plays and musicals. The goal is simple: to provide free access to theatre for playwrights, composers and lyricists around the country. Developed for the Dramatists Guild of America Members, Playwrights Welcome is a national ticketing initiative created by Samuel French along with Dramatists Play Service, Dramatic Publishing, Music Theatre International, Playscripts and Rodgers and Hammerstein. This program was made out of a desire to support the artistic health of our industry's writers, and by extension the vibrancy of the American theatre. We’re aware that attending theatre is an integral part to how writers learn their craft and grows as artists. However, it can often be costly for writers to do that simple act. Playwrights Welcome is designed to offer available tickets to professional playwrights on the day of a performance, free of charge. These available tickets are ones that would otherwise go unsold; we firmly believe that no theater should give away a ticket that could otherwise be sold. Submissions for the 11th Annual Southwest Playwriting Competition are now being accepted. The winning play(s) chosen through this competition will be work-shopped and presented as a staged reading by professional actors in the Dallas-Fort Worth area. A $500 prize will be awarded to the winning playwright. A future, full production of the play is also possible. The application postmark deadline will be April 15, 2017. The decision date is dependant upon the number of entries. Plays can not have been published. The competition uses a method in which the readers do not know the names of the playwrights before the final results are announced. The finalists will be shared with the public during the 2018 New Play Readings Festival. Neighborhood Play Contest Winners Announced! Theatre Three, Stage West, MainStage Irving-Las Colinas, Giant Entertainment and Frisco Theatre have joined The Firehouse Theatre, Onstage in Bedford, Mama's Party, WaterTower Theatre, Denton Community Theatre in rallying to raise money for Derek Whitener, Firehouse Theatre's artistic and education director. Whitener was treated at Baylor Medical Center in Dallas with a fractured skull after being attacked by two men in a parking lot at Target in Cityplace Jan. 14. He had surgery Sunday to remove a hematoma on his brain. Celebrate the season of GIVING with us as we #PayItForward! 10% of Dec 8 Murder for Two ticket sales will benefit Ninja Paws Rescue and 10% of Dec 16 Murder for Two ticket sales will benefit The Women's Center. These two organizations embody the holiday spirit of goodwill and kindness, and we are excited to invite our patrons to share an evening of laughs with us while we all give back to our local community. And audiences have been delighted: "Amazing! This is one of my all time favorites! 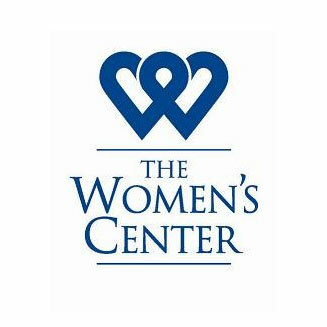 We were blown away!” - Donna D.
Purchase your tickets for the Friday Dec 16 performance benefitting THE WOMEN’S CENTER. 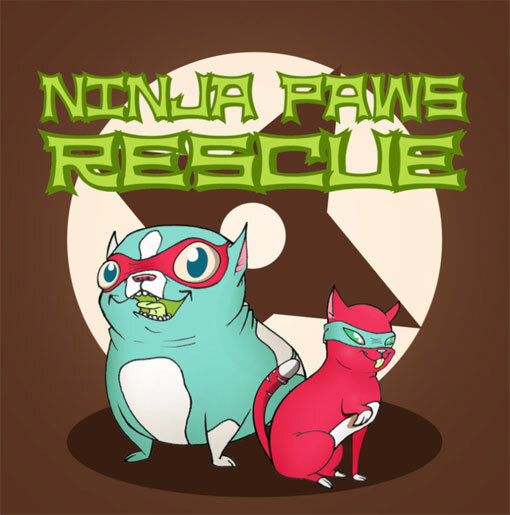 Purchase your tickets for the Thursday Dec 8 performance benefitting NINJA PAWS RESCUE.